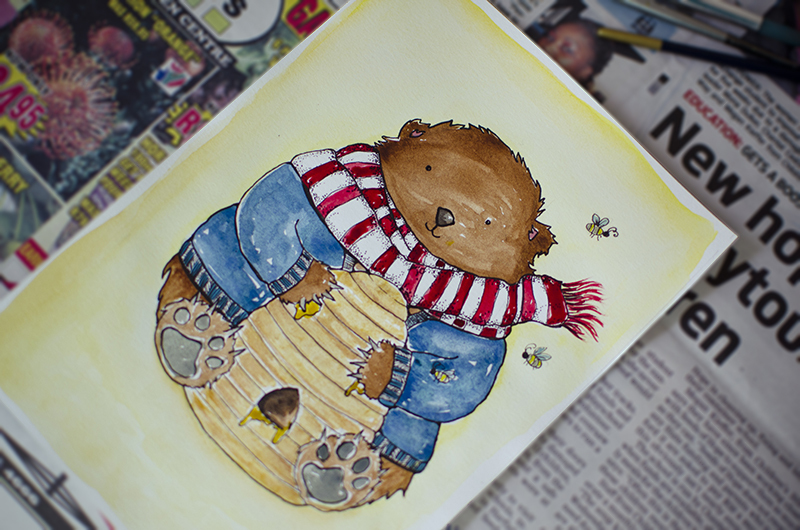 Doodling around, I started drawing a few warmly dressed bears and decided to upgrade one from a sketch to watercolour. 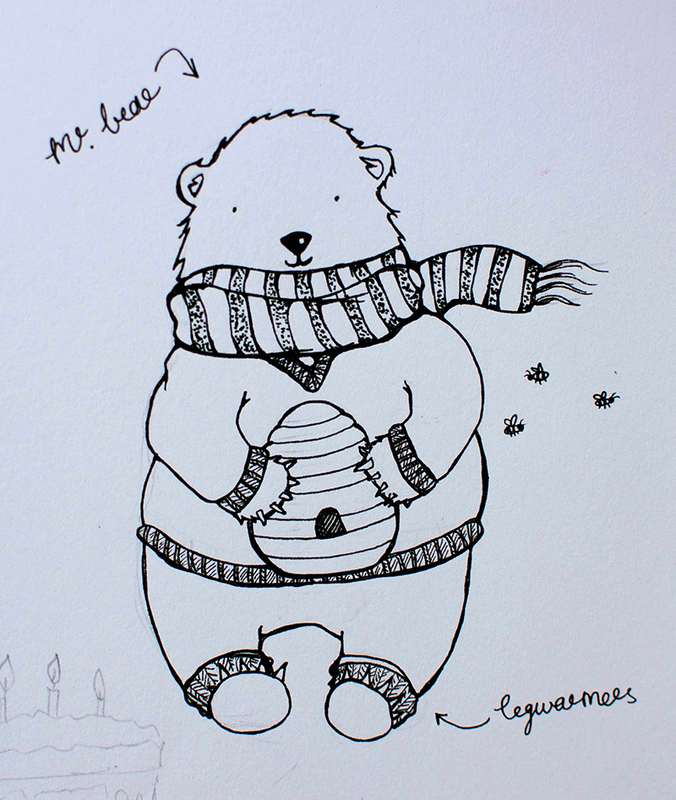 Mr. Bear here was probably one of the things that sparked the thought in my friend MJ’s mind, that I might be able to illustrate invitations to his wedding. 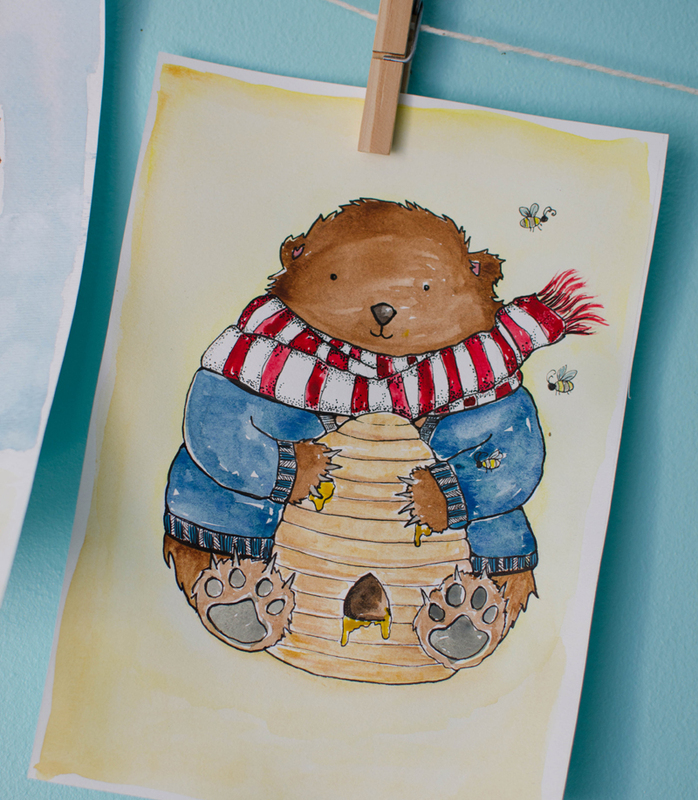 He wanted a sheep painted (his then fiancée), wearing a wedding dress and veil, and then a bear beside it (himself), in a kilt. Tall order.